Update: Dogecoin didn’t stop at 300 percent. A few hours later into Thursday, and it’s now up more than 400 percent. Dogecoin saw a momentary boost of around 360 percent before settling down a bit to just 315 percent. The current total market value of all Dogecoins in circulation is $8,776,590. The value increase has also boosted Dogecoin into the top 10 digital currencies on the market, launching it above Primecoin and Nxt, two popular Bitcoin alternatives. The Dogecoin rally began early Wednesday, when the crytpocurrency escaped the downward spiral of Bitcoin (and virtually every other digital currency), which temporarily crashed to less than $500 following a crackdown by China’s central bank. The digital currency markets have since recovered from that blow, with Bitcoin jumping back up to around $670, at the time of this writing. Nearly all of the top 50 altcoins saw similar rebounds along side Bitcoin. In addition to Dogecoin’s absurd value increase, the digital currency was also added to a new exchange, Cryptsy, bring the total number of exchanges that allow Dogecoin trades to three. The other exchanges include COINS-E and Coined Up. You can also purchase Dogecoin on eBay, where the going price for a batch of the currency ranges wildly, from around $0.0019 per Dogecoin, which is steep, to $0.00071, which is below current market value. 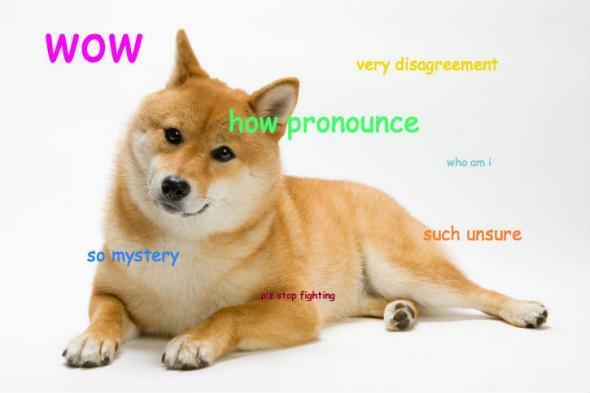 If you’re not into the whole digital currency craze, then Dogecoin is probably not your thing. (And nobody’s going to blame you for not wanting to toss your real-life money into an extremely volatile virtual currency market.) But after browsing the postings of sheer joy found on Reddit’s Dogecoin community, it’s hard to not want to toss in a few bucks and see where this silly train is headed. New Apple Mac Pro goes on sale today: Which setup is right for you?